Are you looking for a new mobile game to try this weekend? You’re in luck, as this week was a big one for mobile releases, starting with EA’s Minions Paradise. Created in partnership with Illumination Entertainment and Universal Partnerships & Licensing, the game is a tropical city-building title starring the popular Minions characters from Despicable Me. Telltale Games also released the first episode of Minecraft: Story Mode on mobile devices. Episode 1: The Order of the Stone introduces players to Jesse and his/her friends, who must embark on a journey to save the world. Elsewhere, Disney Interactive released its newest title, a match-three puzzle game called Disney Dream Treats, which takes players to restaurants from real world Disney Parks and Resorts. The game was created with Crazy Kitchen company Zindagi Games. Finally, Rovio released its newest puzzle game, Love Rocks, which was created in partnership with musician Shakira. Looking for a different game to try? Here’s a look at some additional mobile games released this week. 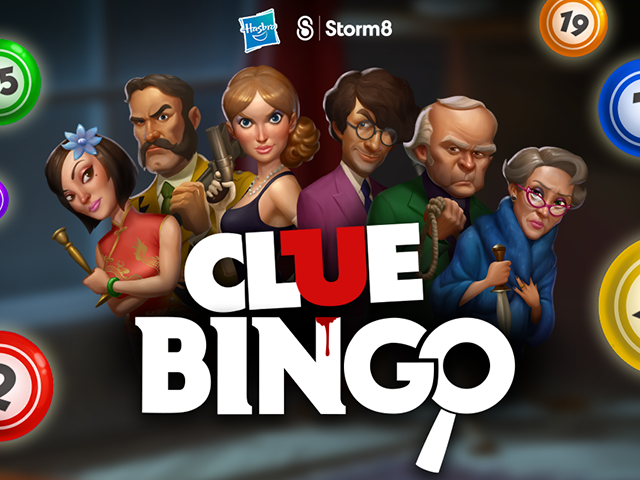 Clue Bingo (Free on iOS, Android) – Clue Bingo is the second game released as part of Storm8’s partnership with Hasbro, following Monopoly Bingo. Based on the classic Clue board game, Clue Bingo sees players traveling through the rooms of the mansion while interacting with characters from the board game, like Colonel Mustard and Mrs. Peacock. Players spend dice to purchase up to eight Bingo cards per game, with players receiving free dice automatically over time. Dice are also available to purchase with premium currency. During each game, players daub their Bingo cards as in a traditional game of Bingo, and can activate power-ups via a meter which fills as they daub numbers. As players complete games, they’ll receive collectible items relating to each room in the house. When they complete a collection, gamers will receive more free dice each day to continue playing. In addition to standard Bingo rooms, players can access special rooms in the Bath and Armory, which offer unique rules. Elsewhere, the Trophy Room allows players to compete against friends in a tournament style. Finally, the game offers weekly special events, like murder mystery puzzles and Bingo games based on Hangman-style word puzzles. Graven: The Purple Moon Prophecy (Free to try, $2.99 full game unlock on Android, Amazon) – Graven: The Purple Moon Prophecy is a hidden object adventure game from G5 Entertainment and Orchid Games. First released on iOS last spring, the game asks players to help a young archaeologist save the world as an ancient prophecy dealing with a demon and a comet hiding in the shadow of the moon reaches fulfillment. Graven: The Purple Moon Prophecy features 50 locations and scenes to explore and complete, as well as 22 mini-games to play throughout the story. Gamers can unlock 19 achievements as they play. The full game unlock price for Graven: The Purple Moon Prophecy will increase to $4.99 after October 16, 2015. NBA 2K16 ($7.99 on iOS, Android) – From 2K and Visual Concepts, this latest installment in the basketball franchise features complete MyCAREER, Blacktop and Season modes, with updated player rosters and additional ways to earn virtual currency. From a technical standpoint, the game promises improved graphics and game performance, as well as new controls for a better mobile gameplay experience. The game also supports Bluetooth controllers on iOS, with controller support coming soon to Android. Avalon Legends (Free on iOS, Android) – From game developer Swan Interactive and publisher Kick9, Avalon Legends is an action role-playing game, allowing gamers to choose one of five characters and take them into battle against the forces of the evil sorceress Morgana. In each level-based campaign mission, players tap on the ground to move, tap on enemies to attack and tap special skill buttons in the corner of the screen to unleash special abilities. Gamers also have the option of turning on auto-play for levels, and replaying levels on higher difficulties. Over time, players will complete quests and collect new gear and weapons for their hero. Players can also upgrade their hero’s skills and overall stats, and can raise a pet to fight alongside their hero. In addition to a single-player campaign mode, multiplayer features, like guilds and competitive arenas, are also available.